Since I started writing about my backpacking trips and experiences, I have had many questions related to the travels. Some of the aspiring travelers ask about how I afford to travel, why I travel, how I manage to travel solo, where I have traveled to and a few other curious questions. After sampling the questions for a while, I came up with two personal conclusions. First, many people perceive traveling to be very expensive, and second, others are afraid to travel on their own. The answers to these concerns are not easy, and neither are they hard. Just like anything else in life, if your Why (Reason for traveling) is strong enough, you will find a way to do it. You will make it a priority and do whatever it takes to make it happen! Experience Travel is not expensive, Luxury travel is! With the rise of share economy businesses and advancement in technology, it is possible to travel anywhere in the world with almost no money. This again depends on how you like to travel. If you are the type that can stay in a local farm, share a room with a stranger, camp in low-cost hostels, eat at a local restaurant, hitchhike, and pack light, you will travel more and get memorable experiences. There are many tools both offline and on the web to help you do that. The online ones include and not limited to; Travel blogs, Airbnb, Couchsurfing, Work Away, WWOOF, Google flights, and Hostelworld. That said, it does not mean that you will just sit back and wait to travel. If you intend to fly, take a bus or train, planning ahead and saving will have to be a priority. Yes. Traveling on your own can be dangerous. This is true for some destinations but generally, I tend to believe it is not! Despite the fear and a few challenges, solo travel is by far the best thing. All one needs is information, planning and a desire to move. With solo traveling, you don’t have to fit into anyone’s schedule, plans, and interests. You get to make your own choices and travel the way you please. When you hit the road on your own, you meet so many like-minded people along the way and what seemed like a lonely trip ends up being a great experience. It gives you a chance to have a personal time to reflect, do things that you enjoy, sleep in hotels, hostels or campsites of your choice, visit places you like, and more so, write your own story. For the time I have been backpacking in Kenya or roaming abroad, a number of Kenyan travelers have inspired me a lot. The travelers range from Hikers, Campers, Solo travelers, Backpackers and Global Wanderers. They have gone further to show that you don’t necessarily have to fly to have a great experience. There is a lot to see both locally and regionally if only you have the desire to move and explore. My top ten Kenyan Travelers and Travel Blogs. The Kenyan Camper, by Kenyan Camper, is the Leading and the ultimate blog when it comes to camping in Kenya. Unlike other Kenyan blogs, the focus of Kenyan Camper is mainly on the adventure and exploring camping destinations around the country. Kenyan Camper is also a very good writer, content creator, and photographer. Wangechi Gitahi Travel Blog, by Wangechi, is more than just a blog; it is a great inspiration to anyone who believes and thinks they can’t travel solo. Reading through Wangechi’s travel stories and experiences will make you pack your backpack and go. She features unique personal experiences from both African and World Destinations. This is another great Kenyan travel blog. The Lady with a Map, by Candy, is a distinguished blog about a solo female traveler who seeks to explore the less traveled paths in Kenya and around the World. I personally got great tips from her two weeks backpacking trip along the Kenyan coast. Whenever I think of a road trip around Kenya, Funtravelke comes to mind. Besides road trips, the blog creates travel awareness by sharing destination information to help others to travel and experience the country more. My Global Attitude, by Caroline, is a travel blog with a lot of great information and tips about traveling and experiencing the world. She has traveled in almost all the continents around the world. Her experiences and travel tips can be found on My Global Attitude Blog which is well designed and arranged. If you love everything to do with travel and adventure, then you should be following Jeen Gichuhi. He is very passionate about wildlife, nature, camping, road trips and exploring local destinations. Through his blog, he shares intriguing stories relayed with great passion. Bonita on Safari, by Bonnita Aluoch, is another great adventure travel blog sharing destination reviews, photography, hotels deals and inspiring stories from around the world. 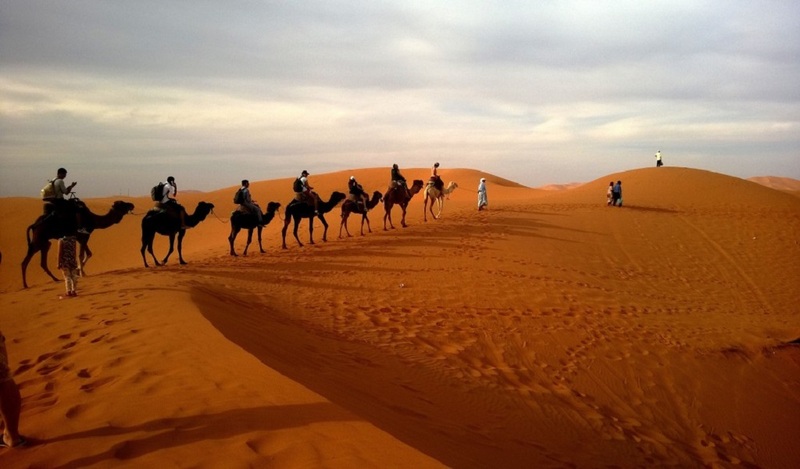 She organizes small group tours for those who are not yet confident enough to travel alone. 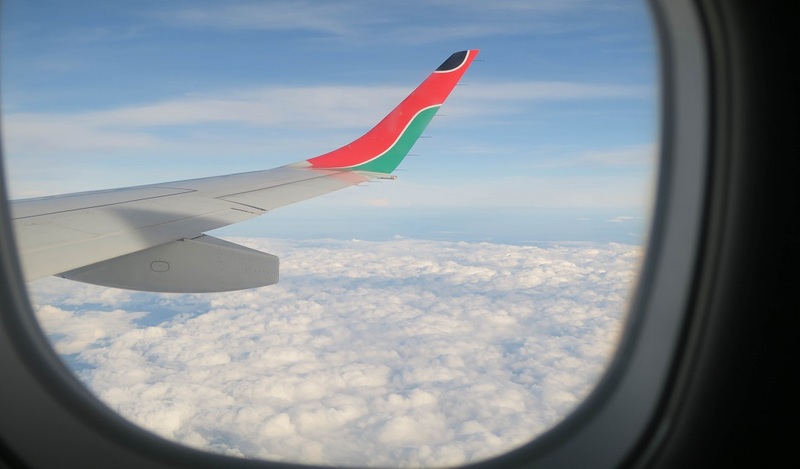 If Tanzania and Kenyan coast are your desired destinations, you should check out her blog. Travelogue of an African Girl, by Caroline Achieng, is one of my best Global travel blogs. Caroline is a “Foodie, travel addict and human rights activist.” She tells her travel stories in a unique way and her point of view is incredible. If you are looking for a Globetrotter and a World-class traveler to inspire you, check out Travelogue of an African Girl. Wachera shares detailed information about solo traveling, volunteering and hiking in Africa and around the World. If you are planning a trip to Nepal, Malaysia or Singapore, this is your “To Go To” blog. Chick about town, by Biche, is an amazing blog and a leader when it comes to traveling within East Africa. She gives reviews, information and tips on where to stay, restaurants, transport, cultural activities and other travel related guides for the region. Other notable Travelers and Kenyan travel blogs. Do you know a Kenyan Travel Blog or Traveler that has inspired you and I haven’t listed them? Got a Question, Suggestion or Correction? Have a travel experience you would love to share? Leave a comment below or contact Kenyan Backpacker. Let’s Travel, Explore and Wander in Kenya, Africa and Beyond. Because “Not all those who wander are Lost”. Get inspired but don’t stop there, set out on the journey to create your own story and inspire others. Yay!!! Thank you for the feature. Travelling is one of the best life decisions one can make. I Haven’t explored Bangkok, Ho chi Minh, Phnom Penh, Nepal, and Most of Asian Countries. When i head there i know i won’t have trouble moving around. You, Wachera and Achieng have provided all the information I need. From Visa application, What to know before I travel and where to visit are all covered in your blogs. Thanks too. Thanks, Jeen. You know I read your post “MACHAKOS SPONTANEITY” and went exploring Machakos! It was very interesting so I also had to go and hike Kiima Kimwe. I wasn’t disappointed. Thanks too. Thanks a lot for the feature ☺. It’s exciting to see a lot of people traveling and talking about their experiences. Safe travels! Karibu. You are indeed a hike star*. I have heard very interesting stories about Rurimueria and after reading your post i thought i should give it a try. #still thinking :-). Safe travels too. Biko Zulu is an insanely good writer – he writes about many subjects of course but his travel stories are fabulous! Yes Biko Zulu is insane with words. I love his work! I enjoy all the top 10. Yours makes the list too! Great list you have there. Every blog listed has a unique style and inspiration to keep traveling and sharing our experiences. Thanks for the mention too. You are welcome, Emily. Kenyatalii is a great website too. And the blog too is very informative. Hi, just bumped into your blog. Good stuff. Am also a travel Blogger http://wild-roamers.com/ and i’d like to do something with you this year. Great list, am addicted to loveandroaddiaries.com ,a couple travel blog that is offering something different to couples that love to travel. Thanks, Eve. I have read through it and it’s great! Awesome blog post loved it especially “Experience Travel is not expensive, Luxury travel is!” True that. Thanks for sharing awesome list of blogs with us. This is a great list of travel blogs you have come up with. The key to travel is to get as much information about where it is you are going before you go. 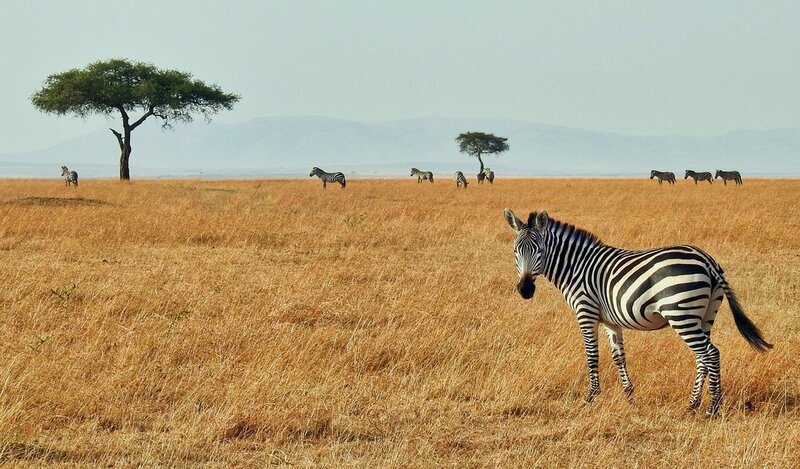 Kenyans are really friendly as most have discovered while on a kenya safari. Amazing content some of the bloggers have there. I know some personally and most i follow. Keep the 254 fire burning. Hey Nina. Thanks. The music to the video is amazing 🙂 :-). Great choice! Wow amazing! Now I can get insight from other bloggers too. She is a solo traveler and travels big time and sometimes even creates videos.. Such an inspiration for me. When I thought about exploring Kenya, the foremost thing in my mind was to follow travel blogs and bloggers. My main interest was about blogs on Kenya safari tours. Valuable information, Thanks lots for sharing them with us. Indeed travelling is not that expensive, but requires dedication and self motivation. You will be on the move now and then plus finding ways to save big. For those on it as a hobby well and good, you don’t have to think about making money from it. But for those thinking to go further and make money out of it, you will figure out a way of achieving that goal.